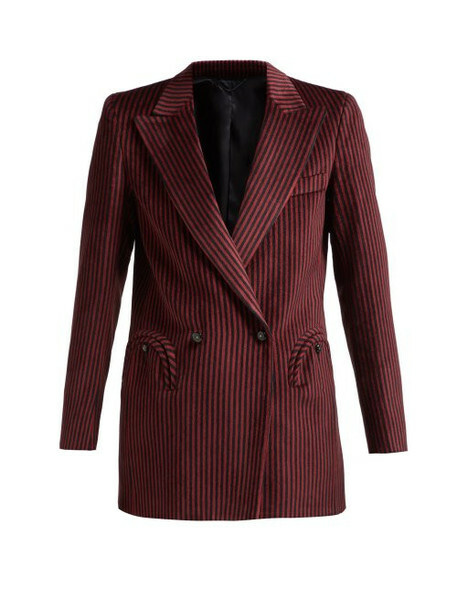 Blazé Milano - Blazé Milano excels in crafting razor-sharp tailoring with an edge and this burgundy and black striped velvet Cool Feeling style is a bold example. Made in Italy, it features commanding padded shoulders and peak lapels, then is shaped for a relaxed fit which can be refined by fastening the double-breasted buttons. Note the signature curved pockets. Wear it to smarten up a black top and indigo jeans.